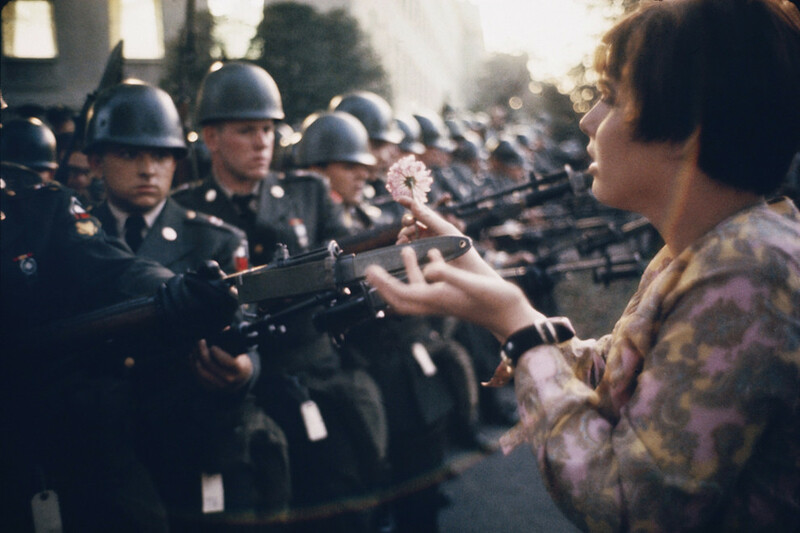 When I first saw the new Pepsi commercial, the classic image of Marc Riboud showing the young pacifist Jane Rose Kasmir placing flowers on the bayonets of the rifles of the Pentagon’s guards during a peace protest against the Vietnam War on October 21, 1967 came to mind. The picture in question became the symbol of the peace loving hippy movement known as ‘flower power’. Well, Pepsi is not really a peace offering. 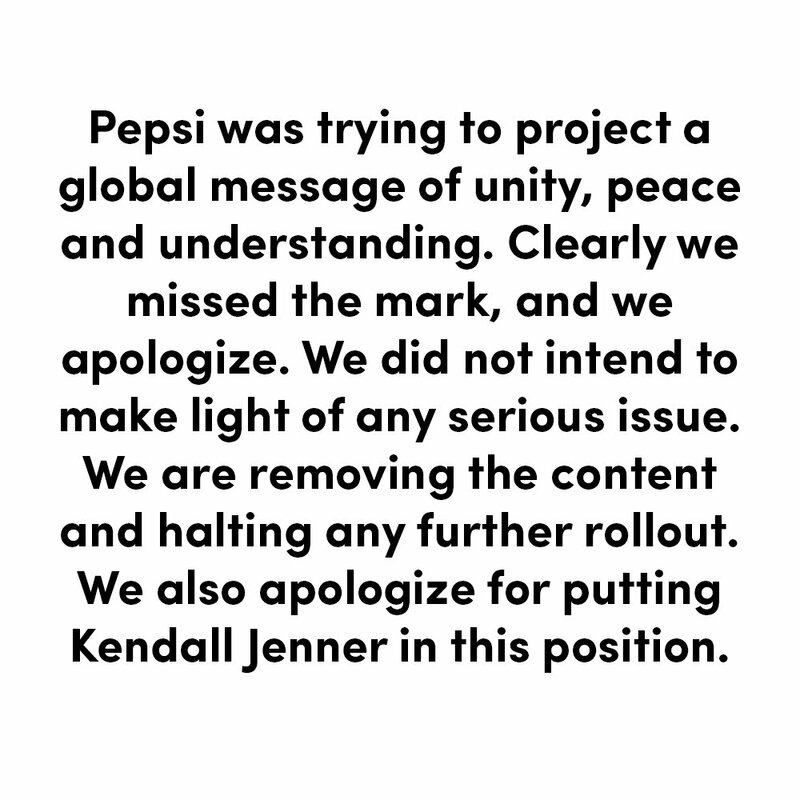 The ad is certainly well-constructed with an Asian cello player and a nose-ring and hijab wearing photographer lady alongside Jenner who ultimately leaves her photo shoot and miraculously goes from glittery dress to denim. Problem is? This is a bit like "I'd like to buy the world a Coke" (no, not done by Mad Med Don Draper!) in terms of feel-goodsy factor, but without the feel-goodsy factor if you follow the logic (or illogic). 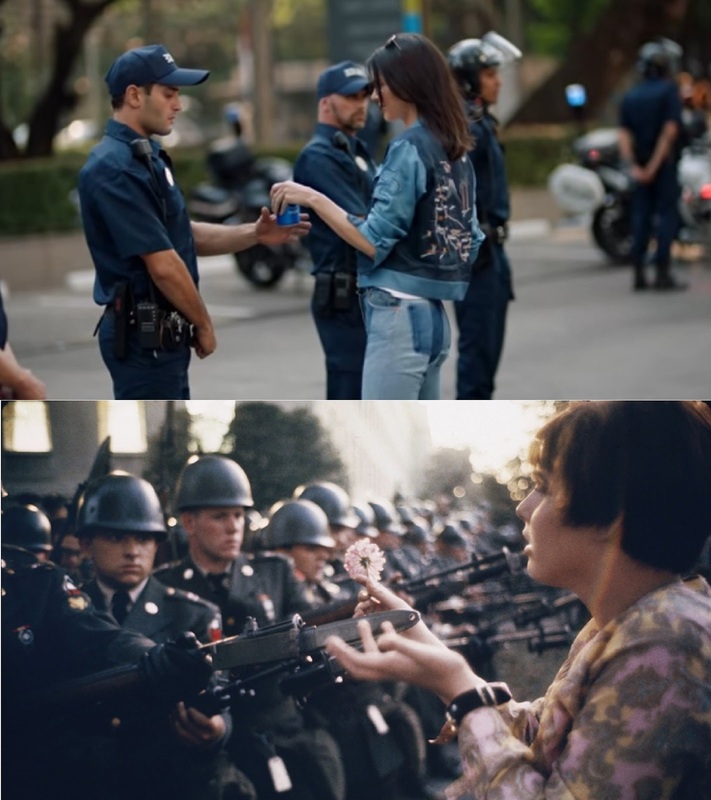 Pepsi is better off at satire, such as with the Woodstock 94 ad ("Sunflower, is that you?"). Other media outlets stirred the debate if a brand should hijack social events (mostly Black Lives Matter) for monetary benefits, but I guess as advertisers we already know the answer. A missed opportunity for Pepsi if you ask me! 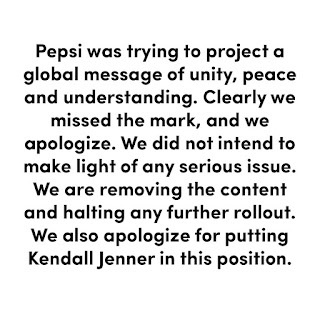 Update: Pepsi pulled the ad and apologized.